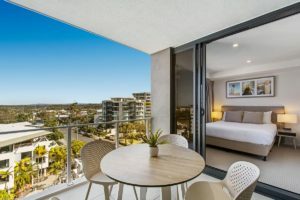 If you’re looking for holiday accommodation in Mooloolaba Breeze is indeed located in the holiday sweet spot of the Sunshine Coast. You’ll find all your stars aligning with this property. 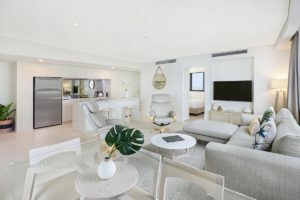 Style, position, amenities and the surrounding township of Mooloolaba will have you living in accommodation that you thought only existed in your dreams. Breeze holiday apartments offers architecturally stunning self contained apartments with floor to ceiling vistas of the Coral Sea. 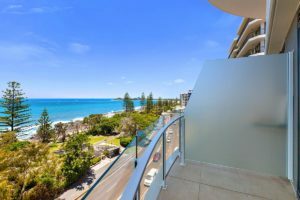 It’s the perfect holiday position situated right opposite the Mooloolaba Esplanade and perfect for your morning walk or jog. Be greeted by scores of other like-minded walkers, runners and dog walkers who are also enjoying this superb promenade. Then you can fuel up for the day, at one of the many cafes along the Esplanade, or back at the apartment — for your perfect espresso or smoothie. Mooloolaba Beach across the road is one of the safest swimming beaches on the Sunshine Coast with a north-facing aspect protected from the prevailing southerlies and sou-easterlies . You can expect to enjoy near perfect conditions all year round. Mooloolaba Beach is also a great place for young surfers. The easy conditions and the sandy bottom beach ensures that surfers won’t have any rocky encounters with the sea floor. Experienced surfers can tackle the surf of the Alex Headlands for larger waves and more challenging rides. The eastern end of Moolooaba beach meets with a pristine beach at the spit. There are plenty of activities to keep the family busy with parks for the kids, and plenty of seated areas with great scenery, and pit stops in the way of shops and cafes along the way too. A holiday in Mooloolaba isn’t complete until you drop in on the local surf club for lunch or dinner, and Mooloolaba boasts one of the best clubs in Queensland. Enjoy a cold drink in the bar, or if it’s lunch or dinner time, the award winning Boathouse Restaurant at the club never fails to deliver delicious fare. 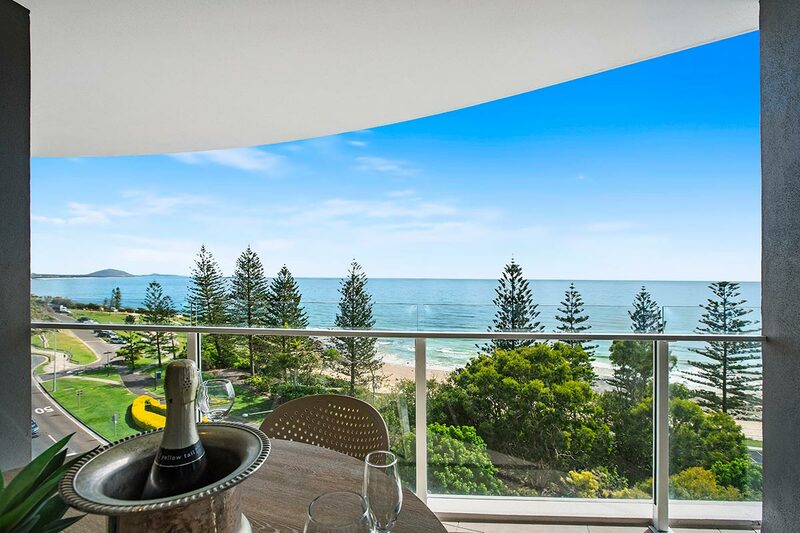 This holiday accommodation in Mooloolaba will really satisfy your holiday cravings. Book your oceanfront holiday accommodation at Breeze apartments now.